Tutors are typically paid by the hour. They are not expected to give you the answers to your homework problems. They are expected to help you solve the problems. High school math and all NCSU math classes. All middle school and high school math. 100 & 200 level undergraduate math courses. MA 111, MA 121, MA 141, MA 241, and high school math. High school math and all NCSU math courses. I specialize in tutoring Calculus 1 (MA 141) and Calculus 3 (MA 242) but I am familiar with the material from almost all undergraduate and many graduate level mathematics courses. I can also help with any high school math classes and preparation for SAT/ACT. MA 111, MA 131, MA 231, all high school math, and GRE Math prep. MA 121, MA 131, MA 141, and high school math. All middle, high school, 100 and 200 level math courses. Also, GRE, ACT, SAT test preparation. all middle school, high school and undergraduate math classes; standardize tests such as SAT, ACT, and GRE. all 100, 200 level math courses. Abstract (Modern) Algebra, Real Analysis, Linear Algebra. SAT/ACT math. 919-434-7608 K-12, MA 242 and lower. 9803197730 MA 114, MA 131, MA 141, MA 241, MA 242, high school math, any pre-calculus or calculus, linear algebra, statistics, and more. All middle school, high school, 100 and 200 level math courses. 3018320157 Elementary, Middle, and High school math, Pre-Calculus and Calculus I (MA 107, MA 108, MA 111, MA 121, MA 131, MA 141, MA 151, MA 152), Introductory Statistics (ST 311, 350), and ACT/SAT/GRE Math prep. all middle school, high school, and undergraduate math classes, as well as standardized test prep (SAT, ACT, GRE). 920-858-4178 All middle, high school and 100-200 level math classes. (816) 898-9161 Unavailable for weekly tutoring for Spring 2019, contact for single-session tutoring for any high school or undergraduate math courses. MA 103, MA 107, MA 111, MA 114, MA 121, MA 141, MA 225, MA 241, MA 242, high school math, and ACT/SAT prep. I am also comfortable tutoring Modern/Linear Algebra. 985-502-3371 all middle/high school math. College level: 200 or 100 level courses and MA341. I can tutor any of the Calc. 1 courses (MA 121, 131, and 141), Calc. 2 (MA 241) and Calc. 3 (MA 242); the differential equations courses MA 341 and MA 401/501; the proof based courses MA 225, MA 425, and MA 426. In addition, I am available to tutor some physics courses including PY211, PY 201/205, and PY 202/208. Other courses may be available upon request. Please vsit my website (https://daleinin.github.io/) for more info. 631-880-2445 All middle school, high school and 100 & 200 level undergraduate math courses. Additionally, I have experience tutoring for the SAT, ACT, SSAT, ISEE and GRE. MA 107, MA 108, MA 111, MA 121, MA 131, MA 132, MA 141, MA 151, MA 152, MA 241, MA 242, MA 303, MA 304, and high school math. Please visit https://sites.google.com/ncsu.edu/aemeade for a more extensive list of topics and information. Middle school, high school, and undergraduate level math. Can additionally help with standardized test prep (ACT, SAT, GRE). all math classes through MA 242 as well as MA 305. 336.447.0300 High school math and physics, MA 100 and 200 level courses, PY 131, PY 200 through 250. (803) 288-0924 High-school math, precalculus, Calculus I-II, and linear algebra. 774 633 0845 I specialize in MA 114, MA 121, MA 131, and MA 141.
all middle-high school math. ACT, SAT. All 100-200 level undergraduate math courses. Please refer to my website for an extensive list of topics, areas and classes that I feel comfortable effectively tutoring. (484) 643-6509 Any undergraduate level or high school math, including algebra, pre-calculus, calculus 1-3, differential equations, and probability; test prep including GRE and SAT. MA 111, MA 141, MA 241, MA 242, MA 341, MA 405, ST 311, ST 511 or any other variations of precalculus, calculus, differential equations, linear algebra and introductory statistics. I can also help with any high school math or Standardized Test Prep such as SAT or GRE. I am not currently accepting students until Fall 2019. Elementary, Middle, and High school math, Mathematics of Finance (MA 105), Pre-Calculus (MA 107, 108, 111), Finite Mathematics (MA 114), Calculus I and II (MA 121, 131, 141, 151, 152, 231, 241), Introductory Statistics (ST 311, 350), and ACT/SAT/GRE Math prep. Please visit my website for a more extensive list of topics and information. middle/high school math, 100/200 level courses, MA 341, 405, 407. 8323491331 All 100 and 200 level courses, middle school and high school math, and standardized test prep. I am also comfortable tutoring Modern Algebra and Linear Algebra. 19179407832 MA 101, MA 103, MA 105, MA 107, MA 108, MA 111, MA 114, MA 116, MA 121, MA 131, MA 132, MA 151, MA 152, MA 205, MA 225, MA 231, MA 241, MA 305, MA 405, and high school math. calculus prerequisites, calc I & II, modern algebra, linear algebra, test prep (SAT, ACT, GRE ). All K-12 math, SAT/ACT/GRE Math, MA 107, MA 111, MA 114, MA 121, MA 131, MA 231, MA 141, MA 241, MA 242, MA 225, MA 403, MA 405, MA 407. 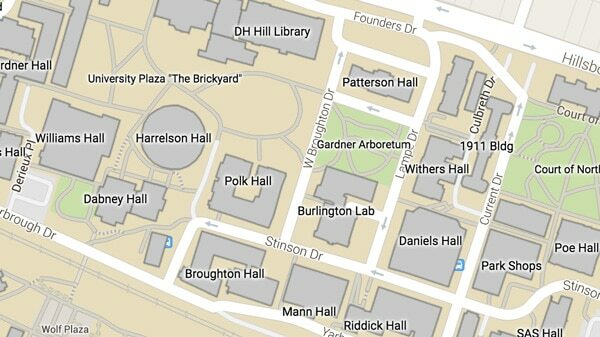 You must be willing to travel to Hunt Library or SAS Hall on NCSU's campus.